Traditional Basin Tap Reviver Kit 1/2"
Traditional Basin Tap Reviver Kit 1/2" (2 Pack) is rated 4.7 out of 5 by 56. Rated 5 out of 5 by VinniG from high quality, low price I bought this reviver kit today to update my older (about 15yrs old) mixer taps. Apart from the new taps being shorter, they were a perfect match. They are of a high quality chrome finish which I was very happy with. It was a straight forward one in, one out. with no modifications to be made. 10 mins tops. I'll be using Toolstation a lot more in future. 5* across the board based on it just being fitted today! Rated 5 out of 5 by Dragon13 from Excellent product Well made product, easy to install. 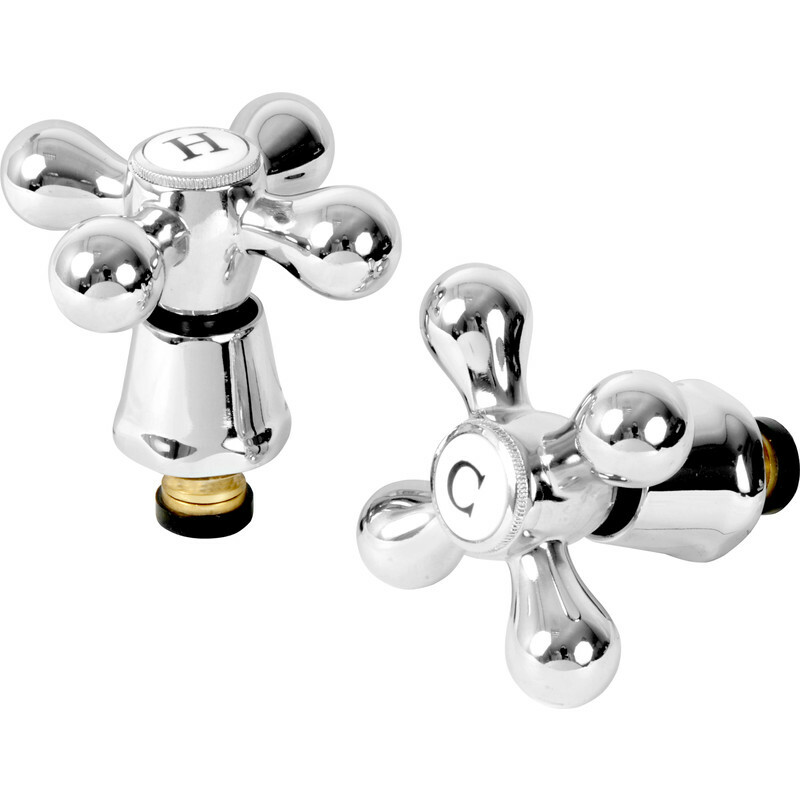 Rated 5 out of 5 by Tedward2 from Quality and Value Very Good Value and Quality - easy to fit to standard basin tap. Rated 5 out of 5 by ROAO from Good replacement, better than original! Have used these on multiple occasions. Excellent service from tool station! Rated 5 out of 5 by RGG1946 from A good tap transformation. I bought two sets for bath & basin and the taps look great. If you are a diy person,they are easy to fit. ordered on line delivered on time.